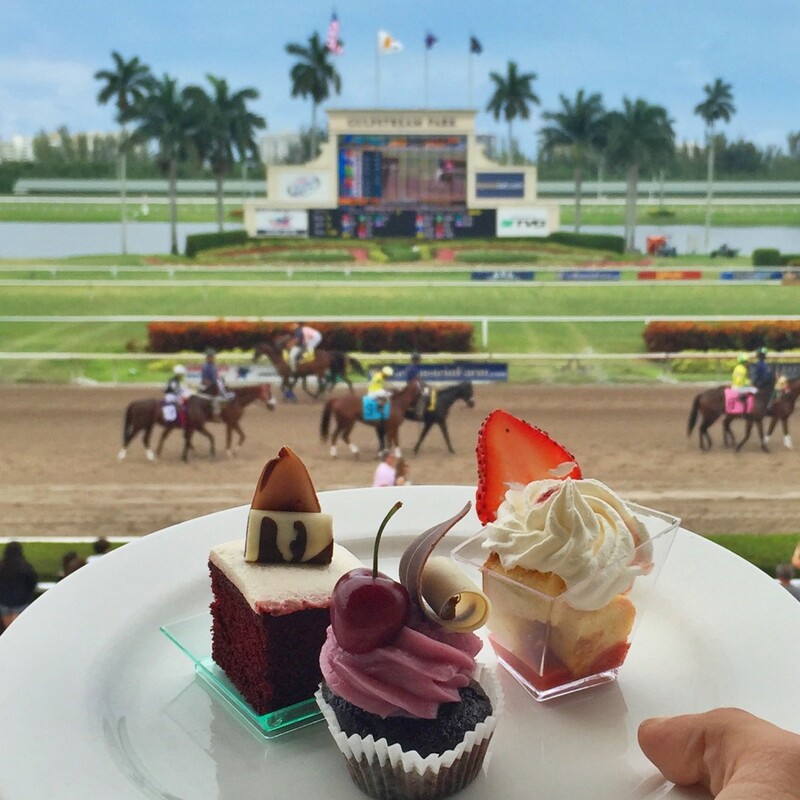 Gulfstream Park is more than a race track. It is a an entertainment complex full of things to do. 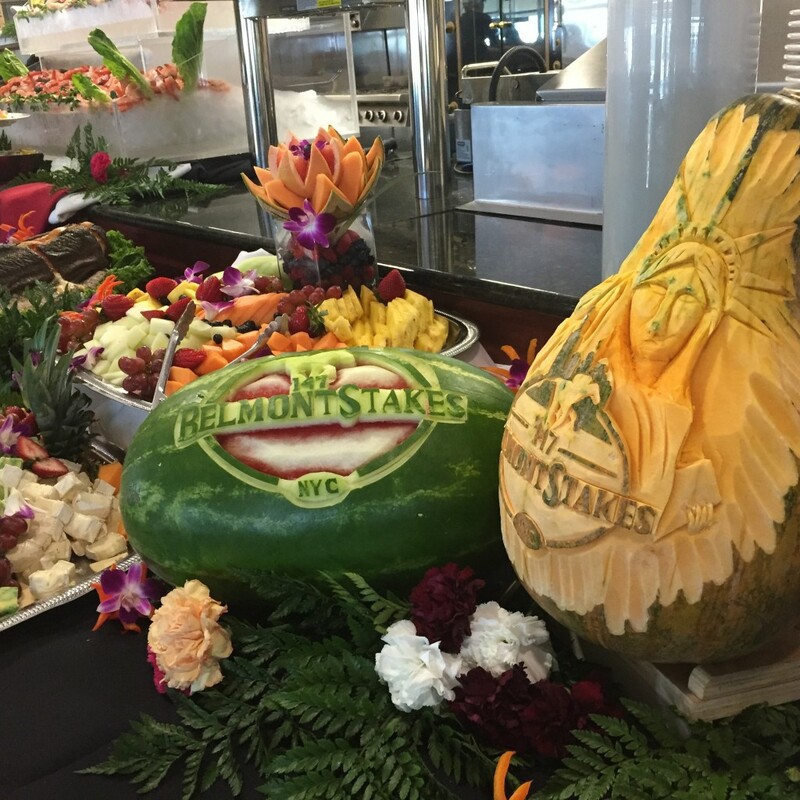 My first time there was at “Blogger Day” hosted at Gulfstream Park during one of racing’s biggest day, the Belmont Stakes. The crowds energy at Gulfstream was contagious as fans were cheering for American Pharaoh who was reaching for a triple crown. The first in 31 years. 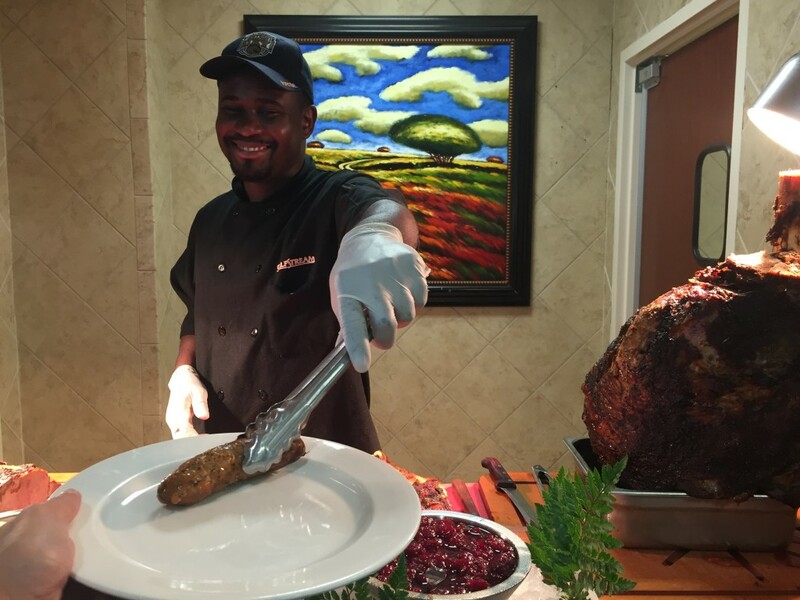 We were hosted to an all you can eat buffet at Ten Palms Restaurant which overlooks the racetrack. Memo to myself: add Ten Palms Restaurant to the Top Restaurants with a View in Miami. (Not technically Miami tho) The seafood was the highlight of the buffet which served endless crab legs, mussels and salmon with a house cocktail sauce. The sweets here my highlight as I can appreciate the artistic presentation of the desserts. 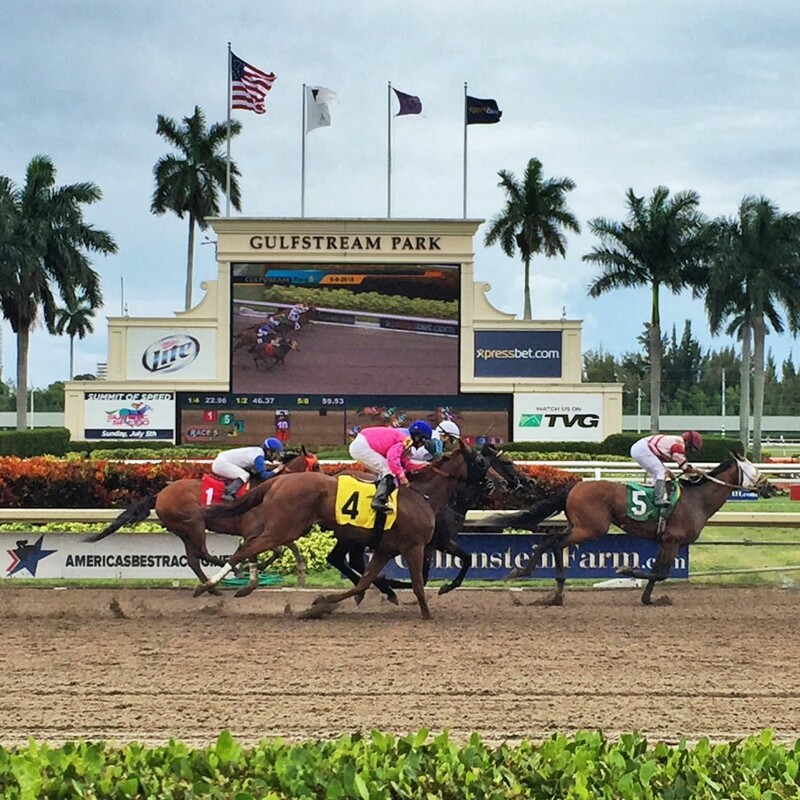 Take a look for yourself by scrolling through my picture recap of Blogger Day at Gulfstream Race Track and Casino. 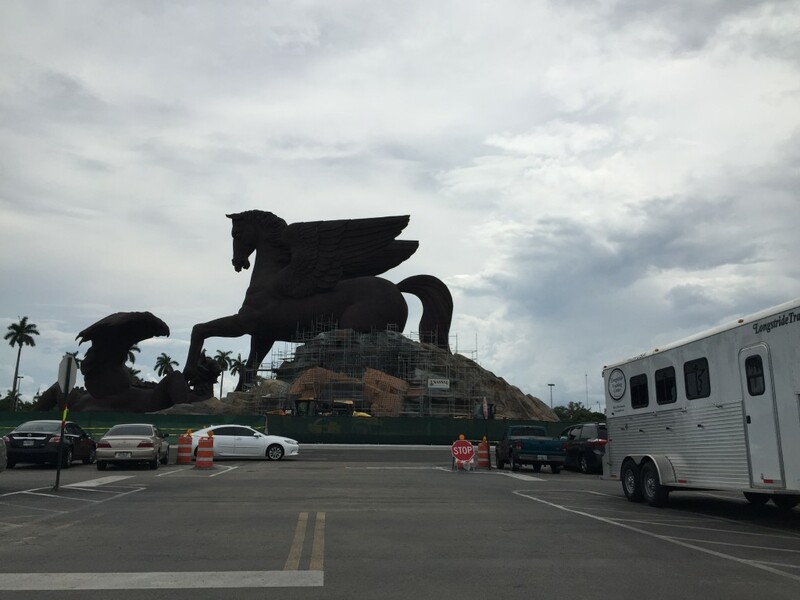 Also look forward to a future post about the enormous Pegasus Sculpture being erected at Gulfstream Park. It promises to be a new awe striking attraction. I will definitely be returning to Gufstream Park. First, to check out the night scene and also during the winter when it is set to even bigger crowds as the “snow birds” come down to bet on horses in Florida.